Sunrise Preserve is a gated community developed starting in 2017 on a 115-acre parcel off east of Honore Avenue and west of Interstate 75, a prime destination for buyers of Sarasota homes for sale. This community’s site spreads adjacent northeast of Palmer Ranch and primarily consists of the 18-hole links of Sunrise Golf Club which was built in 1971 and was closed in 2004. The co-developer of Sunrise Preserve is Canada’s No. 1 builder, Mattamy Homes, which paid $14.3 million in its acquisition of the Sunrise golf course in 2016. The builder also acquired for $2.5 million another two parcels to create the community’s entrance on Honore Avenue. 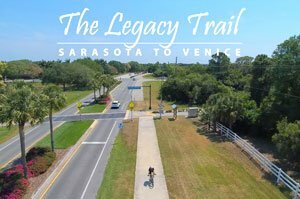 Mattamy partnered with Sarasota-based Vanguard Land Ventures for the development of this community. Single Family Homes or Villas? Sunrise Preserve is planned for up to 425 home sites, with its Honore Avenue access just across the entrance to the well-established community of The Hamptons at Palmer Ranch. For the Sunrise Preserve’s first phase, Mattamy platted some 300 lots for single family homes and about 60 for paired villas. This developer also set lifestyle amenities at the Sunrise Preserve, which include a clubhouse, a resort-style pool and sports courts plus the services of an activities director. Open space of 44 acres, 4 percent over the 30 percent of total acreage Sarasota County requires on community developments, have been allocated at Sunrise Preserve. Prospective buyers of Sunrise Preserve homes for sale can choose from Mattamy’s signature and executive single-family home series. These floor plans measure between 1,843 and 2,626 square feet, featuring two to three bedrooms with two to three baths as well. The pricing of these residences ranges from the upper $300s up to the $500s. Price quotes for the paired Sunrise Preserve villas are in the $300s, all designed with two bedrooms and two baths within floor plans measuring 1,539 to 1,625 square feet. Buyers of Mattamy villas and single family homes can tap Mattamy’s Design Studio for some extras in their design choices. In addition to Mattamy’s new builds, possible options for prospective buyers are some resale villas and single family homes previously built along with the development of the golf course. These existing Sunrise Golf Club residences are typically priced in the $100s‒$200s range. Their floor areas measure between 1,370 and 1,514 square feet with two to three bedrooms and two baths. Whether pre-owned or new builds, the homes for sale in these Sunrise neighborhoods are magnets especially for young families. Top-rated schools are nearby, including Sarasota Middle and Ashton Elementary. A unit of Sarasota Memorial Hospital catering to children’s health care also has facilities on Clark Road a short distance north of Sunrise Preserve. Additionally, the neighboring southeast quadrant of Honore Avenue and Clark Road hosts popular venues for shopping and dining. Proximity to Palmer Ranch, moreover, opens options for Sunrise Preserve residents to avail of membership in this master development’s golf and country clubs, such as Prestancia and Stoneybrook. Easily accessible too is the public Legacy Trail which has one of its trailheads at the Culverhouse Nature Park in Palmer Ranch. As enticing, the Clark Road corridor leads westward to the gateway of Siesta Key and its pristine white beaches. 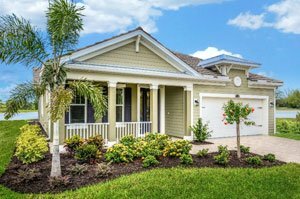 In addition, the Clark Road‒Interstate 75 interchange northeast of this community enables easy access to amenities not only in Sarasota but also in Lakewood Ranch and Bradenton for a full retinue of lifestyle choices for Sunrise Preserve residents. 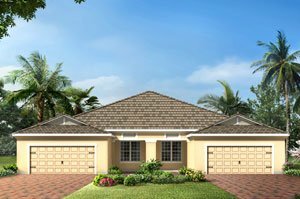 Below are the current real estate listings available at Sunrise Preserve.